Students from a number of year groups had their artwork selected for the R.N.L.I. ‘Pushing the Boat Out’ Art Exhibition in Lytham. The Autumn Exhibition of artwork by the Fylde’s children and young people was also a competition based on ‘The Sea’. The prize giving awards ceremony was held on Thursday 15th November and was attended by seven pupils from our school. The students received many positive comments about their work and we are delighted to announce that Chloe in Year 10 was an overall prize winner, with her excellent charcoal lifeboat drawing. 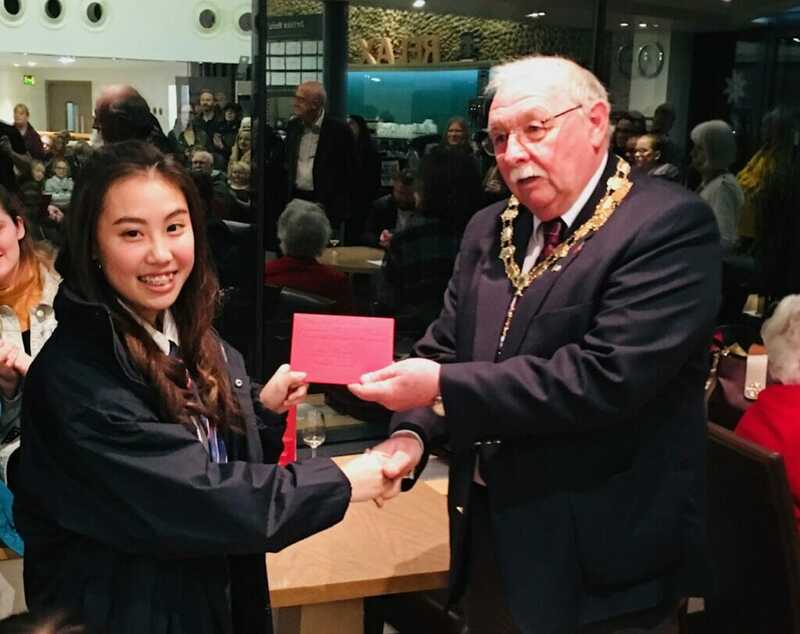 Chloe was presented her award by the Deputy Mayor of St Annes, Tony Ford, who was also a guest speaker at the evening’s event. The exhibition will continue to be open to the public until Thursday 29th November. It is held at the Fylde Gallery, Haven Road, Lytham and is free entry.